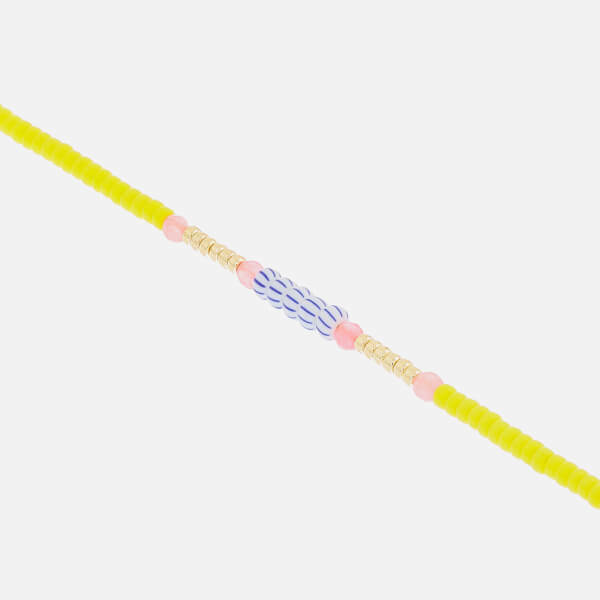 Handmade 'Peppy' bracelet from Danish jewellery brand, Anni Lu. 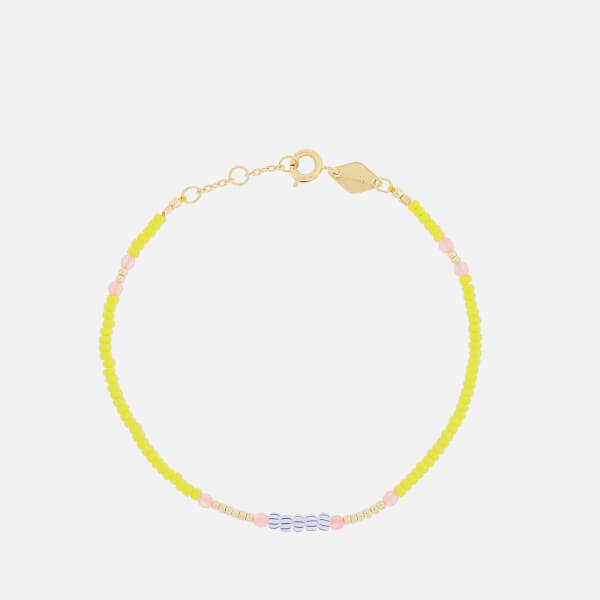 Crafted from brass plated in 18 karat gold, the delicate bracelet is accentuated with seed beads and semi-precious gemstones in contrasting colours. Secured with a spring ring clasp and finished with subtle branding. Adjustable size.